I’ve been an avid bookworm all my life. I love, love, love the written word and losing myself in a really great read. However, the past few years, my reading has gone down dramatically and it’s been killing me. This year I am determined to pull myself out of the biggest, longest, most detrimental reading slump I’ve ever been in. I started more books than I finished and have truly missed the effect good, consistent reading has always had on my life. 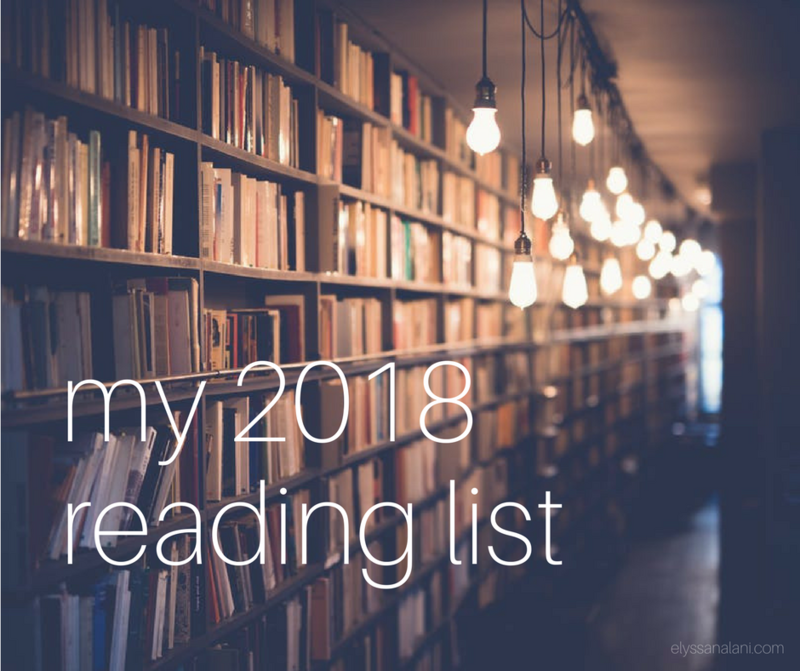 After stumbling across 3 beautiful blog posts the other day(Valerie @ Val Marie Paper, Corie @ The Reset Girl & Gretchen Saffler @ Well Watered Women), I decided I need to construct my reading list for 2018 and be intentional about reading more than I have in a long time. My goal is to read at least 50 books this year. There are definitely more than 50 on this list but I didn’t have the heart to do any cutting. I don’t expect to knock out all these titles by any means but I plan on getting through a good portion of them. Reading is so much a personal and emotional thing. I don’t want to ever feel like just because it’s on my list I HAVE to read it this year. I want to give myself options and no pressure. I will probably also read some books that aren’t even on this list. The great thing about book-loving is that there are always new titles to discover! The only goal is to finish at least 50. A good number of the books on my list are ones that I own, have started and never finished, some I’ve owned for a long time and never cracked open and still others are books that I don’t own and am itching to buy. Also, I don’t plan on reading all of them in physical hard copies. I’ll read some on my Kindle and listen to some on audio (which is how I do a good chunk of my reading). Alrighty, enough prelude! Let’s get to that list! What are your reading plans this year?